Fun, too. 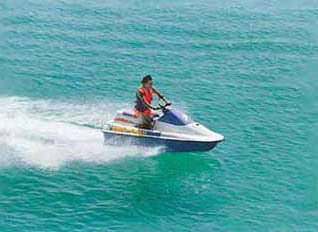 Our user-friendly bays, rivers and Gulf of Mexico offer great boating and water sports year-round. On the surface, our water has just about every kind of craft imaginable - surfboards, windsurfers, jet skis, sailboats, canoes and yachts. 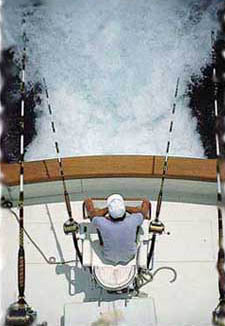 Our fishing will hook you, whether you prefer deep-sea, from the shore or from a pier. Under water, snorkel and scuba divers will see breathtaking vistas, playful dolphins and loggerhead turtles. The Gulf water is warm and clear; visibility ranges from 30 to 100 feet. The U.S.S. Massachusetts is a popular aquatic and archeological preserve. The 340-foot ship rests in 26 feet of Gulf water; the giant artificial reef is awash with all sorts of marine life. Local dive shops will suit you up with everything you need for an excursion. The Pensacola area offers excellent opportunities for you to net your limit of grouper, red snapper and triggerfish. Fishing bridges offer excellent low-cost angling, and charter boats take you wherever the fish are biting, whether you want deep-sea tuna or closer-to-shore sport fish.